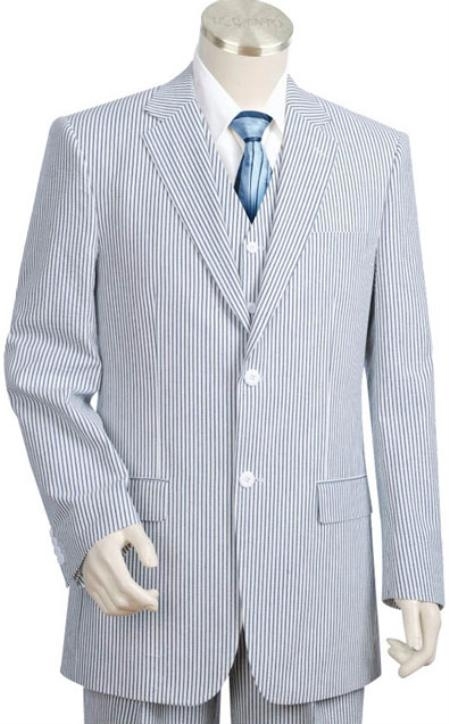 Places where you can find mens seersucker suit these days are more and what you pay for them is also more. During the time of Second World War, it was the nurses who wore this full cotton fabric during their service at the war zones. Later common people began to use clothes manufactured with seer sucker as it was one of the cheapest fabric and made them feel comfortable. To be specific, working class men proffered this fabric to make sure that they feel comfortable enough while they do jobs that made them sweat a lot. Apart from the comfort factor of seer sucker, they were also able to get basic clothing requirements fulfilled from them at a price that fell within their meager wages they earned during those days. 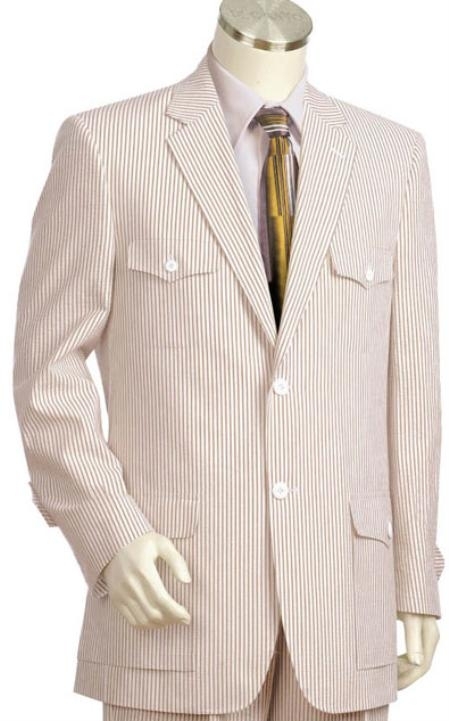 Today's seer sucker suits are seen as a mark of luxury as a contrast to the situation that prevailed during the Second World War period. Top designers have started to make money out of this simple fabric with their designs and have tagged them up high with rates that will cost you a fortune. Anything that is this costly can be look like a rich man's choice and it is really surprising to expect such a big degree of variations that fashion can make out from a plain kind of full cotton fabric. Seer suckers are best known as a fashion statement for rich men who would like them during summer season. Apart from the special patterns that we see on this fabric, it is also well known for the two simple colors in which these were available during early days. Despite the fact that blue and green were those two colors in which you could find a seer sucker fabric made from, technology has paved way form many other colors due to advancement in the dying industry.